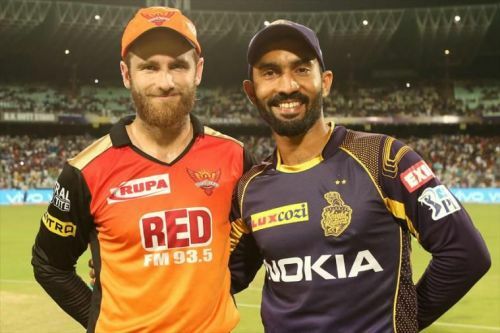 IPL Fantasy 2019: Match 2, KKR vs SRH: Who would be the X-Factor in today's game? The Indian Premier League is set to kick off in its 12th edition at 8:00 pm on Saturday, March 23rd as all the attention is being focused on the MA Chidambaram Stadium, Chennai as CSK host RCB for the opener. Though this game is being widely talked about, 24th March, Sunday will be even better for fans as two games are scheduled to take place and the first will see the Kolkata Knight Riders host the Sunrisers Hyderabad at the Eden Gardens. SRH will miss the services of skipper Kane Williamson for the first couple of games and Bhuvneshwar Kumar has been announced as the stand-in captain. 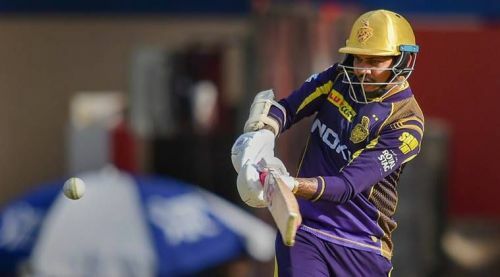 KKR have their share of injury concerns as their young pace guns in Shivam Mavi and Kamlesh Nagarkoti have been ruled out of the entire season and Sandeep Warrier and KC Cariappa have been announced as their replacements. They'll also be without the services of Proteas fast bowler Anrich Nortje. This match promises a lot of fantasy points for those playing the official IPL Fantasy game as many of the front-runners and big picks like David Warner, Andre Russell, Bhuvneshwar Kumar, and Rashid Khan are set to feature. Let's take a look at one player who can be the X-Factor from this match. o else but Sunil Narine? The X-Factor for this match is pretty easy to figure out, it's Caribbean T20 star Sunil Narine. The all-rounder will be the most reliable source of points from this match as he assures an explosive start with the bat opening the batting as well as wickets with the ball on this spin-friendly track. Narine is more of an influence with the ball and will be the go-to bowler for KKR now that their pace attack has been dented and will be under pressure to pick up wickets. He will certainly look to score quick runs and make as much of an impact before getting out. His recent numbers in the Bangladesh Premier League, where he scored 279 runs, show that he's evolving into a proper all-rounder. He took a break post that T20 event will be well rested and raring to go unlike players like Watson or Russell. Narine was the MVP last season and also got the most points in last season's IPL Fantasy. He is known for his flourishing openings to the season. Hence, back Narine for maximum points as well as good performances in the match. IPL Fantasy 2019, Match 16, DC vs SRH: Who would be the X-Factor in today's game? IPL Fantasy 2019, Match 19, SRH vs MI: Who would be the X-Factor in today's game?